What is Authenticity? And How To Be Authentic? Authenticity is a tricky thing. In a blink, one can tell you from your behavior and actions that you are authentic or not. And if you act inauthentically, it is not good for you in long run. So, the question pops up, how to be authentic? And how authenticity is helpful? 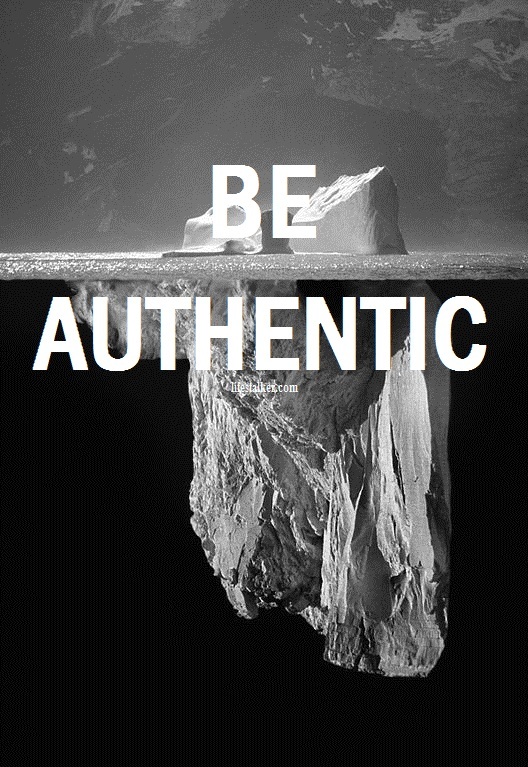 But before that we need to understand if one acts authentic, isn’t it inauthentic? If yes, so, what is authenticity in reality? Authenticity is a choice. A choice to be real, vulnerable and able to express self without any filters. Though, by filters, I never mean that you need to express any thought that will come to your mind. If you do that, you are not authentic, you are obnoxious. By able to express self without any filters, I mean, you don’t have to make up anything and not hurt people consciously. For example, say “no” whenever you don't have something important to finish and someone needs your help, but you blame it on the project. Ask questions whenever you want (even when the question seems silly and stupid), and many such things. By being real and vulnerable, I mean, you need to be open for criticism and feedbacks. You need to acknowledge your negative points and try to overcome them. Authenticity is a choice that you make on daily basis. It is a choice to grow, every day. Authenticity frees you from your made-up self, which is taking the toll on you, both emotionally and physically. It allows you to make better decisions. It allows you to focus on your project and make a distinction in between what is good and not for you. It is contagious. When you open yourself, it allows people nearby you to be vulnerable and open with you. It allows you to build better relationships on both personal and professional fronts. It allows you to learn better and grow. When you act authentically, it allows you to ask better questions, it allows you to understand topics a bit clearly and allows you to use your new learning in making new decisions better. It also allows you to shatter your old beliefs, and grow in person. Overall, authenticity allows you to become a better person. Now, it depends on you that you want to become a better person or not. Just be yourself. That's it. Note: Watch The Power of Authenticity by Mike Robbins at TED Talks, the idea of Iceberg and Authenticity is taken from him.